Crested Butte undoubtedly has some of the best mountain biking in Colorado. And this is, quite simply, the largest and most complete guide to Crested Butte mountain biking trails. If a trail isn’t in this guide, it probably doesn’t exist. Mountain biking has been my sport of choice during the warmer months ever since the days of fully rigid bikes in the mid-80’s. As a resident of Crested Butte since 1996 and a lover of exploration, there aren’t too many trails within an hour or two that I haven’t ridden, and I’ve long kept notes on things like mileage and timing. Keep in mind that many of the times and mileage are very approximate, I only write the times down the first time I ride a trail, so some of these times may even be from a fully rigid bike ride 15 years ago, or maybe on a day that I was feeling strong, or maybe on a day I was feeling weak. The times are “ride time”, i.e. the bike computer is only running when the bike is moving, so lots of snack breaks will greatly increase the time. Fast riders who are used to altitude will probably find the times pretty accurate, while occasional riders from sea level can easily take twice as long. It’s really just useful as a rough estimate and not much else. Generally, this list goes from shorter rides to longer rides, but some rides may be logically grouped with one another based on things like proximity to one another. Many of these rides started from one of the places I have lived at in Mount Crested Butte, but all of them are within a mile of each other and can generally be thought of as starting off from the ski area parking lot (i.e “CBMR”). If you are looking for a specific ride, an alphabetical list of rides can be found HERE. Wondering about conditions, especially in the spring and early summer? You can always drop us a note, or click HERE for CBMBA’s conditions page. Trail numbers and other info have all been taken from the local Latitude 40 map. While I highly suggest purchasing the Crested Butte/ Taylor Park Lat 40 map, in the meantime this PDF will help make directions more clear: MAP It’s a big file, so it may take a while. I am slowly adding maps to many of the rides within this guide- if there is a ride that you would like to see a map for, please let me know- it will give me a great excuse to get it done! Things may change, of course, so inquire here at 14erskiers.com or locally at places like Crested Butte Sports before heading out. Holly Annala’s book is top-notch and worth acquiring. Finally, many of the routes here are difficult or primitive/not well marked, so you’re on your own- don’t get mad at me if you get lost or hurt. Some of the rides may have private property issues. Be responsible for yourself and keep in mind that mountain biking can be dangerous. Thinking about moving to Crested Butte and having rides out your back door? Check out this article. One final note. This guide took a tremendous amount of work. If you find it useful, please consider purchasing an item through one of our affiliates or contributing a small donation to us through paypal, using the button at right. Thanks! Conditions of trails can constantly change. Early season riders must be wary of snow. Mountain bikers need to be aware that trails can be limited in May and June, and our higher trails (401, Star Pass, etc) aren’t usually accessible until sometime in July. But, every year is different. So, find out the conditions of trails through CBMBA. 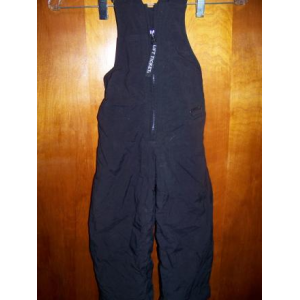 Description: CBMR has a number of different trails within the ski area boundaries. Often overlooked by visitors who don’t want to buy a lift ticket, the CBMR trails have a bit of everything and many of them are better than more well-know short rides such as Snodgrass. Every year sees a number of new trails, both downhill and cross-country oriented- they’re being built faster than I can update this page. 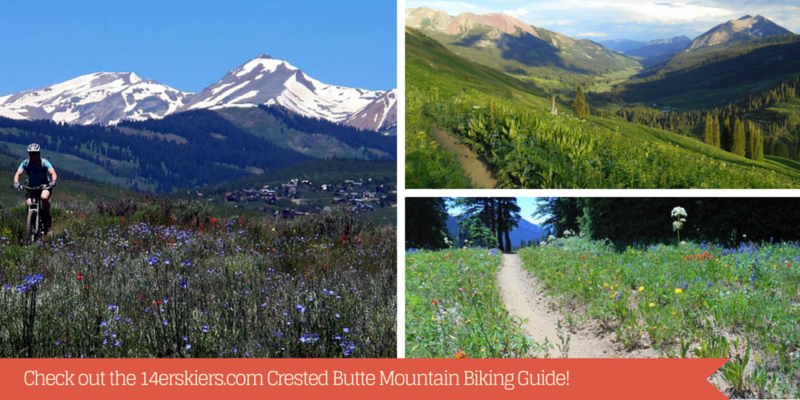 There are so many trails that are constantly changing now on CBMR, that we have actually developed a Crested Butte Mountain Resort Biking Guide. There you will find descriptions of every trail, suggested loops, trail maps, and other useful information. Check it out. Best advice: get on your bike and explore the trails of CBMR. Description: The vast playground known as Hartman’s Rocks outside Gunnison deserves an entirely separate guide, but it would take a Gunnison local to properly do it. Not just a place to ride, you can camp, rock climb, or go through a few cases of ammo shooting up old appliances at Hartman’s Rocks. Most of the trails here have been created by two-wheel enthusiasts, so they tend to zig and zag around looking for interesting formations to ride in, around, and over. Many of the trails here are quite technical, at least compared to the faster flowier trails of Crested Butte. The dirt is also gravelly, which means it drains quickly after rain storms, but it can also get loose and dusty during dry spells. Trees are few and far between, so it can get a bit hot for my taste in mid-summer, and if you’re looking for long descents you’re better off heading to Monarch Pass and Crested Butte. Many of the trails work well in both directions, so the best bet short of being shown around by a local is to purchase Dave Kozlowski’s map and start exploring. A few of my favorites: Freefall (technical), Ring Dike, Skull Pass, Aberdeen, Rattlesnake, and Beck’s. Description: This trail connects Mount Crested Butte and Crested Butte via the upper loop. If I’m short on time, energy, or daylight, I sometimes ride down this and then back up the cement “rec path” back home. There are a bunch of off-camber right-hand turns on Tony’s that do a great job of teaching a rider how to weight and carve a bike. Route: Upper to Tony’s to rec path. Description: This is a quick loop accessed from CB South, and is one of the first rides in the upper valley to melt out in the springtime. The actual “caves” part of the loop is a good downhill, passing by some short climbing routes by the caves themselves. Description: Every once in a while I’ll take my cross bike out and hammer out some dirt roads. This was a quick one that took me to the forested summit of Snodgrass and the great views of Gothic. I could see this taking a lot longer on a mountain bike. Route: Gothic Rd (FS 317) to Snodgrass road (590) and return. Description: This trail is short and sweet, connecting Mount Crested Butte with Washington Gulch. 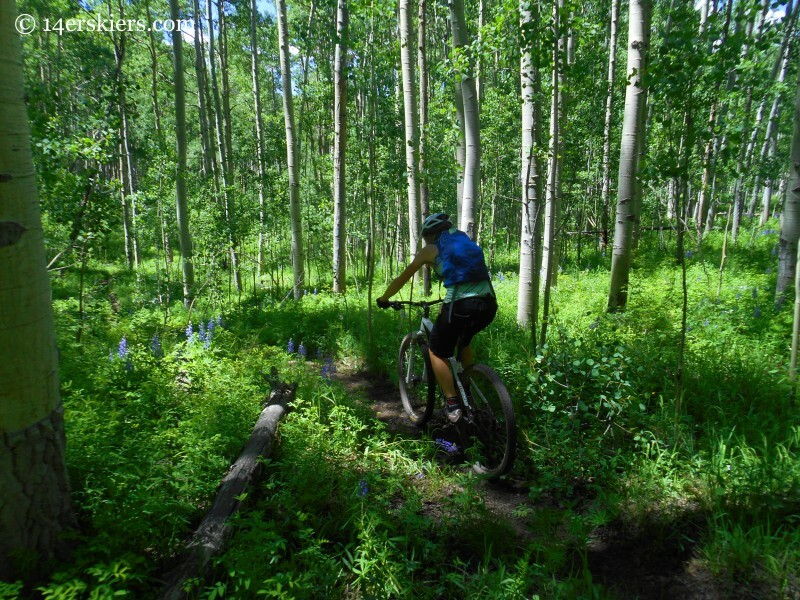 The trail winds through wildflower meadows and aspens, with several flowy and twisty sections where your handlebars and bike will just clear the trees. Much of this trail is on private land and closes when the landowner puts their cattle out to pasture on the area, usually sometime in late August. I like to ride it as an out-and-back, it works well that way and it’s only 10 minutes and a quarter mile shorter to head down the road and back to the base area. Route: Gothic Rd (FS 317) to Snodgrass (590.1) and return. Description: Often used as a bonus after returning from a ride of Strand or something else in the Brush Creek area, Whetstone makes for a nice ride on its own. The trail works well in both directions, though personally I prefer to ride up to the intersection of the Upper Upper trail, then (mostly) descend to the upper loop. Route: Upper Loop to Whetstone Vista and return. 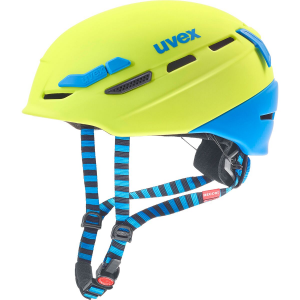 Description: This is another quick after work ride, connecting the upper loop and upper upper loop. I used to ride upper upper first and then head back on upper, but these days I actually prefer upper upper coming back towards Mt. CB. Either way, it turns out to take the same amount of time. A good extension to this short ride is Tony’s trail and the rec path, at 13.4 miles and an extra few minutes. Description: This great but short trail was traditionally accessed via Trapper’s road, but there is no public access on this road. Years ago, no one seemed to care. These days- people care and you will get a trespassing ticket. this route is included only for historical purposes. Route: Tony’s to the Plunge to lower lower to upper lower to rec path. Description: The lower loops are the incredibly popular trails right outside of Crested Butte that head up the Slate River Valley towards Oh-Be-Joyful creek. Most of the trails work well in either direction, but I will describe my favorite, which includes the GB loop above the waterfalls of OBJ. Route: Upper to Tony’s to Upper Lower to GB loop to Lower Lower to rec path. 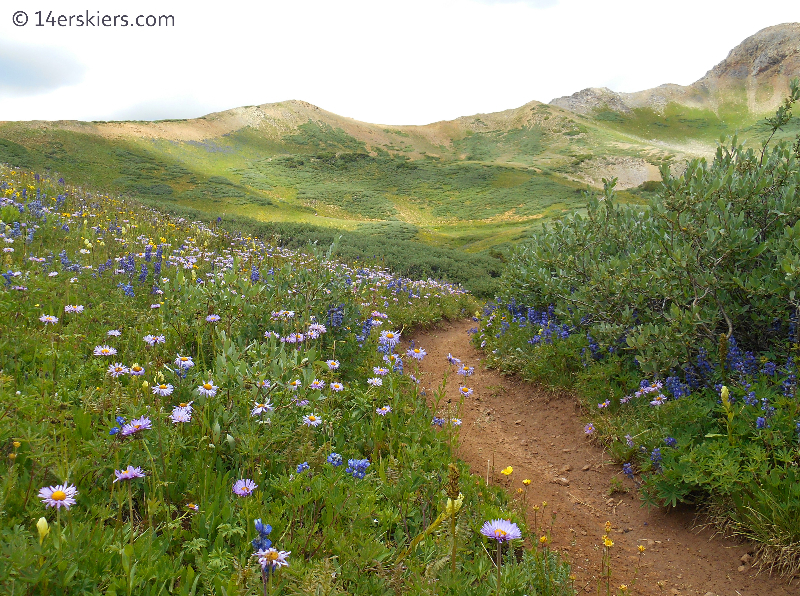 Description: The Lupine trail is the first of what will hopefully be a small network of trails on the Smith hill hillside above the Slate river just outside Crested Butte. This area is being developed for recreation thanks to the town, Great Outdoors Colorado, and others (see link). The Lupine trail is at its heart a connector trail between Gothic road (starting at Saddle Ridge) and the Slate river. It can be used as a descent on its own, or more likely in combination with other trails like the lower loop complex. The bottom of this trail is on a road with 3 gates in a row- the new Lupine extension is a better option. Route: Gothic road to Lupine to Upper Lower to rec path. Description: The Lupine trail is the first of what will hopefully be a small network of trails on the Smith hill hillside above the Slate river just outside Crested Butte. This area is being developed for recreation thanks to the town, Great Outdoors Colorado, and others (see link). The Lupine trail is at its heart a connector trail between Gothic road (starting at Saddle Ridge) and the Slate river. It can be used as a descent on its own, or more likely in combination with other trails like the lower loop complex. The newer extension leads riders farther out the Slate River for a better connection to the Lower loops. This trail is largely a cross country type trail. Route: Gothic road to Lupine extension to Lower Lower to KB extension to Budd trail to rec path. Description: This is another option for a short, after-work style ride. One nice thing about this ride in particular is that it has a lot of road miles, making it a good spin for tired legs. Lower 401 can have a lot of cows late in the fall, which really reduces the fun factor, so beware. Description: This is a short ride from Gunnison for those who want to mix it up and ride something other than Hartman’s. Signal Peak is the cone-shaped peak directly above the Western State College Campus, and this section of trail marks the end of the Gunnison Spur of the Colorado trail. There may be seasonal or other closures on this trail, so make sure to inquire in Gunnison before doing this ride. It’s a fun ride, but it’s been years since I rode it, and my directions are worthless. 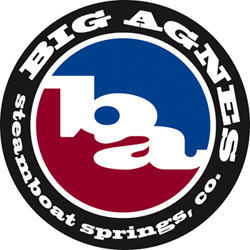 Description: For spring and fall riding, Paonia is tough to beat and should be on every Crested Butte locals’ list- and everyone else for that matter. The area isn’t marked everywhere, but it’s a great trail system reminiscent of Fruita’s 18rd, but a bit steeper with more vert. There are enough trails to keep a strong rider busy for a full weekend of exploration. Approx. Time: na Trailhead: East end of Pan American Ave. Description: This is another ride I’ve done on the cross bike only. Cross Bikes fly, so I’m sure that times would be a whole lot more on a mountain bike. It’s scenic and fun to do for a change of pace. Description: This is another ride I’ve done on the cross bike only. Cross Bikes fly, so I’m sure that times would be a whole lot more on a mountain bike. It’s scenic and fun to do for a change of pace. This is a good one, even with the lack of singletrack. Two thumbs up. Description: Popular and with good reason, this nearby ride offers a lot of bang for the buck. The descent through the Aspens is top-notch, the views of Castle and Gothic are superb, and the Canal trail is a final bonus. Sometimes I add Whetstone Vista on the way back, adding 10minutes of riding and 1.5miles. Description: This neighbor of Strand is quite similar in many ways, but is slightly more technical. On the road ascent, several small singletrack trails cut corners off of the road. Adding the upper upper on the way out adds 35minutes and .8 miles. A fun variation is riding up 402 and descending Four-Oh-Fred for a slightly longer downhill. Description: This is the third and most technical trail in the Strand Hill area. Often one of my favorites, the best way to access it is via four-oh-fred, but you’ll have to figure that one out for yourself. Brush Creek is often swollen and scary at the beginning of the year, so I usually wait until July for the water to go down before riding this one. As with any ride out of Brush Creek, skipping the Upper loop on the way home and going to town and the rec. path will add 2.4 miles, but takes the same amount of time. Parking at Brush Creek equals 12.9 miles and one hour 35 minutes. Description: It’s pretty easy to ride both Farris and Strand without re-tracing your tracks too much, except on the canal trail. Driving the the Brush Creek Parking makes this even shorter, 12.2 miles and one hour, 55minutes. Description: Shuttle Monkeys love this one, it’s short and sweet and pads are a great idea on this one. As fun as it is, you’ll likely spend as much time setting up the shuttle as doing the ride. Fooses is the first singletrack dropping off of the Continental Divide trail to the East for riders of the popular Monarch Crest Trail. Part of the Colorado Trail. Route: Continental Divide Trail to Fooses Creek. Approx. Time: 1hour 20min. Trailhead: Shuttle: Monarch Pass to Garfield. Description: Shuttle Monkeys love this one, it’s short and sweet and pads are a great idea on this one. As fun as it is, you’ll likely spend as much time setting up the shuttle as doing the ride. Greens is the second singletrack dropping off of the Continental Divide trail to the East for riders of the popular Monarch Crest Trail. I think I like Green’s slightly more than Fooses, but they are both good. Shuttling both in one day makes for a good exercise in car shuttling. Route: Continental Divide Trail to Green’s Creek. Approx. Time: 1hour 35min. Trailhead: Shuttle: Monarch Pass to Shavano Ski Rental A-Frame. Description: Possibly the best Monarch ride of all, this one is a bit longer than Green’s or Fooses, and a bit less technical as well. It follows the Monarch Crest ride for quite some time along the Continental Divide Trail before splitting off to the East at the top of Marshall Pass. Like the Monarch Crest “standard” trail (Silver Creek), the Rainbow trail can be added at the end. I had a dead bike computer battery the day I did this ride, I would guess it’s roughly the same distance and time as doing the standard Monarch Crest ride. Route: Continental Divide Trail to Starvation Creek. Description: Yet another sick Monarch ride, this one makes for a bit more of a ride than Green’s or Fooses. It follows the Monarch Crest ride for quite some time along the Continental divide before splitting off to the West and descending many miles of glorious singletrack. At one point, the trail goes through the wreckage of cars and trucks which didn’t quite make it over Monarch Pass. There are about 20 river crossings near the end that get fairly annoying, but this is a top ten ride in the area nonetheless. Route: Continental Divide Trail to Agate Creek. Description:One of the most popular destination trails anywhere, “The Crest” lives up to its’ reputation. It is not, however, all downhill, so don’t be fooled. This is a long ride. Several sections along the divide have amazing downhills, Silver Creek is a screamer, and the Rainbow trail is my favorite part with its’ roller coaster whoop-de-do’s. Going with a large group is routine, and it routinely results in trouble in the form of flat tires, mechanicals, and crashes. Going with just a couple of other riders and passing groups like crazy is a much better way of going about The Crest. Route: Continental Divide Trail to Silver Creek to Rainbow trail to Poncha Pass (HWY 285). Description:Well outside of Crested Butte, but on the list anyway… This is a great section of a great trail. I stopped on my way home from Denver once and did a quick loop just outside of Buena Vista. This section is highly recommended. Approx. Time: 2hour 10min. Trailhead: Buena Vista Drive-In theater. Description:This is, without a doubt, the most scenic trail in this guide. It may be my new favorite as well. This trail doesn’t necessarily feature perfect berm turns and gap jumps, but it has everything else. It’s probably the only bike ride I would ever have a dream about in winter. Of the many amazing sections of the Colorado Trail, this one is my favorite. Just trust me and go ride it. Description: This ride skirts the West Elk Wilderness near Horse Ranch Park. At times it may be overrun by horses, but in good conditions it is a fun ride that is quite a bit more technical than most in the Crested Butte Area. It works pretty well in either direction, so I tend to do it as an out and back. It also makes a great addition to the Dyke trail to get a little longer ride if the Dyke just isn’t enough. Route: Beckwith Pass (840) to Lost Lake (842) and return via same route. Description: This scenic ride rightly holds a place on the list of Crested Butte classics. Skirting the South end of the Ruby Range, it has one stiff but entirely doable climb in the middle, which is immediately followed by a top-notch downhill. The only real detraction is that much of the ride is on the busy Kebler Pass road, which can be quite dusty when it hasn’t been mag chlorided in a while. Riding through the town of Irwin can be a nice change of pace, and a short waterfall spur trail can lengthen the ride just a little bit as well. I usually ride from the Irwin “Y” to eliminate some Kebler miles, but with the new wagon trail I may soon be doing this ride from town instead. Description: This is a great way of making a longer ride out of the trails mentioned above, Beckwith Pass and the Dyke. Description: The wagon trail was recently constructed and mostly follows the old Kebler Pass wagon road which parallels the current road. It may be the most technically easy trail in the valley, so beginning riders and families should seek this trail out. We used this trail in both directions on a recent ride of the Dyke trail, which makes for a surprisingly long day when heading out from Mount Crested Butte. Description: Prepare yourself mentally before hitting this ride- you will get lost, you will find mud, and you will deal with way too many cows and horses. Still, we rode this at the perfect time, in late fall, when the cows were gone and the mud had dried up, and were rewarded with one of the best rides of that season. The spectacular Castles are in your face all day, and the good sections of this trail are really good. Still, this trail would be an easy one to have a bad day on under different circumstances. Description: I used to hate this trail. Seemingly uphill in both directions, with random corners and the style of technical riding that is more annoying than fun, I avoided it for years. Further trailwork and the Point Lookout trail have completely changed my mind about this trail, however, and it is now well worth checking out. Route: Cement Creek (FS740) to Walrod Gulch (FS740.2c) to 412 to 409 to Brush Creek (FS738) to Hwy 135. Description: This was my redemption ride after knocking my teeth out on 409. I still don’t really like this trail. At the bottom of 409 or 409 and a half, it’s pretty easy to ride Strand Bonus, which is a fun trail in its’ own right in this direction. Description:This trail is at least partially on private property, and while there was a time when riding it didn’t cause much of a stir, it most certainly does today. Riding this trail means risking a ticket. I’ve been told it’s a great trail. Route: Tony’s trail to lower Green Lake trail to Secret Trail to rec. path. Description: The Green Lake trail is one of the finest trails in the Crested Butte area, though it doesn’t get much “promotion”. Ending at spectacular Green Lake below the Green Lake bowl of Mt. Axtell after a tough climb, the incredibly flowy downhill more than makes up for the grunt up. Popular with hikers, I tend to avoid the trail on popular weekends whenever I can since I always got high marks in grade school under the heading “works and plays well with others”. The Forest Service considered making this a hiking-only trail in the most recent travel management plan, but thankfully this top-notch trail was spared and we can all continue enjoying it. Route: Tony’s trail to Green Lake trail (out and back). Return via rec. path. Description: If you just can’t stand the thought of an out and back, even one as awesome as Green Lake, consider this route as an option. The Wildcat trail was recently re-routed and it’s a little more rideable than it once was, but this is still a more difficult option versus just doing the out and back. It’s good to have options, right? Route: Tony’s trail to Kebler Pass to Wildcat Trail to Green Lake trail. Return via rec. path. Description: This was an even better way of riding Green Lake since it makes a loop rather than an out-and-back. Riding Trapper’s road has become a no-no, however, so this route is only included for historical purposes. It is possible that public access to the Don Cook trail will resume in the near future when the new Baxter Gulch trail is finished. For now, it’s only doable as a brutal out-and-back, or as part of the “tour de Axtel”. The Don Cook trail itself is fairly technical and a lot of fun- definitely recommended. The Don Cook Trail is now labeled “para mi, para ti” on the Lat 40 map. Route: Tony’s trail to lower Green Lake trail to Trapper’s to Don Cook trail to Green Lake trail to Rec. path. Description:Carbon Creek is an OK ride (It needs some TLC) in a cool area, but it’s hard to get to. Right now, the only legal way to ride it is from Ohio Pass, either as an out and back or then heading down the Don Cook trail(para mi/ para ti). Going up Green lake and up para mi/ para ti and descending Carbon Creek is another option, but not a fun one. In the near future, a new Baxter Gulch trail will allow access from town, opening up a lot of big ride possibilities right from town. Description: The Tour de Axtell is a fine adventure-style ride that makes a loop around Mt. Axtell. Be prepared for sections where there is no trail and hike-a-bike sections as well. Finding the correct spur road off of Splain’s is the key to linking it up with Baxter’s Gulch, but this is hard to do unless you have a keen sense of direction and are familiar with the area. The Don Cook (aka para mi, para ti) and Green Lake descents make the ride worthwhile, probably one that I do once every year or two. Starting from town subtracts 10.1 miles and 25 minutes. Lake trail to Rec. path. Description: Formerly one of my favorites but sadly lost due to the whims of the Forest Service. Consider this description an obituary for a great trail. The Matchless portion of the ride was brutal and fairly torn-up by dirtbikes, while the descent was like the Doctor’s Park of old: Steep, loose, and technical. Meanwhile, the descent began near treeline and Taylor reservoir stared you in the face until you found yourself on the shores of the lake in sagebrush country. The end of the ride required a crossing of the Taylor river where it runs into the reservoir, which was quite dangerous and scary, so I usually waited to do this ride until later in the season. 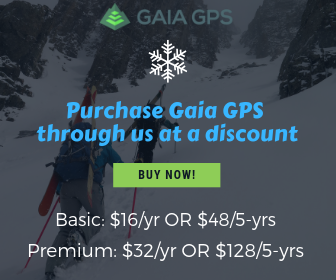 Route: Matchless (420)(Gunnison Spur) to 413. Description: This is the route I took when I accidentally stumbled upon 413. I was looking for a trail in Ute Gulch, but ended up on Matchless, going backwards. Looking at the map, I decided to try to find 413, which of course turned out to be a favorite of mine. Sadly, 413 is closed- see above. Description: The first time I rode this trail, I was on a borrowed bike and didn’t think much of this ride. Turns out, it was the bike’s fault- this trail is amazing. True, the Timberline trail section is a hike-a-bike, moto-ed out mess, like much of Taylor Park, but the Texas Ridge section is long, flowy, and seldom used, leading to long sections of trail covered in literally inches of pine needle loam. Not to be missed, this is a new favorite for me. Description: This is a different version of the loop above, and in my opinion, the best way to go. The main problem with this loop is the potential for heavy traffic on Cottonwood Pass road, but otherwise this variation gains a sweet downhill section of the Timberline Trail before the real climbing begins at Texas Creek. Description: This figure eight loop combines the best trails of the Taylor Park area- 413 and Texas Ridge. The nice thing is that you can go back to the car and re-supply between laps, or bail if you don’t have the time or the weather has changed for the worse. We choose to do 413 first, but I don’t think it would matter much either way. Description: This trail has changed drastically over the years. These days, it’s a steep downhill that demands expert bike skills. I hadn’t ridden this in years until the summer of 2016, when I reacquainted myself with the trail and decided that I like it again. Check it out if you like steep rutted loose trails. Description: This is a good route if the weather looks too threatening to do the whole Reno/Flag/Bear route described below. Several parts of the ridge trail are top-notch, so it really isn’t a total bust if you end up riding this route. This is also a good way to access other routes and mix it up, such as Roaring Judy. Description: Slightly longer than the route above, this is another good alternative if the weather or time constraints makes it necessary. Routefinding from Reno Ridge onto Bear Creek may be difficult for those not familiar with the area. Description: Yet another classic, this ride features three distinct uphills with three even more distinct downhills. Flag Creek is pedal-y, Bear Creek is all flow, and Deadman’s is all switchback, all the time. Generally I ride this as a stand-alone ride from the trailhead up Cement Creek, but it is often ridden from town or as a combo with other trails. Starting from CB South adds about an hour and 13.6 miles. Description: This ride replaces the Flag Creek downhill with a high-altitude, steep, and rutted out moto trail. While the moto damage is disturbing, this trail is a great alternative to the standard route. Flag has long been my least favorite part of R/F/B/D, and this route bumps the first descent back into the realm of Bear and Deadan’s. Routefinding is slightly tricky near Spring Creek reservoir, but staying on 744 is a safe bet… Is it better than the standard? Yes. Highly recommended for fit riders who like tough steep trails.. Description: The standard Reno ride can get an extra loop by adding Rosebud and Julie Andrews. Rosebud is a tough climb with some hike-a-bike, while the Julie Andrews trail will leave you singing “The hills are alive…” as it traverses open meadows with terrific views. Overall, worth doing from time to time. Description: This trail is marked on the lat 40 map, but it doesn’t see much use and is definitely a “wilderness- bike” experience. The added bonus is that you summit Cement Mountain at 12,201′. At least part of this route requires hiking off-trail. The descent off of Cement is excellent in places, although it would be easy to get lost. As far as I can tell from the lat 40 map, this trail is legal, though there may be private property issues, so you may want to inquire about that first. Description: I’ve thought long and hard about whether or not to include this route on this online guide. Quite simply, it is the finest singletrack I’ve ever had the privilege of putting my tires on. The FS considered closing this trail during the most recent Travel Management Plan, which is why I will put this on the guide- the more people who know this ride, the more people might get upset about its’ death, if it comes to that. You will not find Eccher without a guide- beg a local in the know to show you this ride. Do not trespass private property as you exit this trail. Description: This figure 8 loop combines two of my favorite downhills anywhere in the valley. There are several different ways to combine the Reno/Flag/Bear area with Doctor’s Park, but this is my favorite. When the road is parallel to the Bear Creek uphill, I usually walk across the 100′ of willows to reach the singletrack, although staying on the road the whole way works pretty well, also. Staying on the road will add about 4 miles versus getting on the singletrack, but it’s a much easier spin. In a brief moment of weakness, I once shuttled from Harmel’s to Spring creek reservoir, cutting the time down to 2 and a half hours and 21 miles. Description:This is probably the quickest way to get to the Roaring Judy trail, which is a rugged descent in the lower East river valley. The trail alternates between rocky technical areas and steep, flowy singletrack. The second part of the trail is hard to find, as is finding FS 813.2A, but all roads in the area will eventually dump you out on Jack’s Cabin cut-off. It’s hard to get to no matter how you access it, but worth the cost. Route: Spring Creek (744) to 744.1C to Rosebud (423) to Roaring Judy (547.1A) to 813.2A to Jack’s Cabin cut-off to Taylor river road. Description: I like singletrack. Jeep roads usually bore me. Still, this is a good ride with spectacular scenery. It is very rugged (in fact, some jeepers have met their end on this road), so don’t expect tons of traffic. There are some establishments in Marble to get food, but you might not want to count on it. The ghost town of Crystal is amazing, and photos of the Crystal Mill are one of Colorado’s most iconic pictures. The only time I did this ride I was short on time and started at Schofield. Add about 1hr, 45min to do it the right way, from Mount Crested Butte. Description: THE Crested Butte trail, this is the one that everyone will tell you that you have to ride in Crested Butte. It’s good, the views are superb, but there are better trails out there. Still, it has good reason for its classic status and few rides match 401 when the skunk cabbage is head high. At Rustler’s gulch, one can save about a mile and 20 minutes by skipping lower 401, though this means you haven’t really ridden 401- just half of it. Description: If I lived in town, I would avoid the traffic on Gothic Road and ride this way most of the time. The switchbacks are tough (Slate is sometime referred to as Alpe du Slate), but the scenery on this ride is even better than it is in the Gothic corridor. This is also the way the Crested Butte Classic 100 mile race does 401. Route: Gothic Rd (down) to Slate River (FS734) to Paradise Divide to 401 to Gothic rd. Description:403 is a fantastic, albeit quite short, trail that leads from the top of Washington Gulch to Gothic rd. above the town of Gothic. I try to ride this trail only when Snodgrass is open, which cuts out a lot of road miles on Washington Gulch. Riding 403 without Snodgrass is well over 20 miles with just 3 of them being singletrack. 403 is one of very few trails in the Crested Butte area which is both popular and technical. Like 401, the Skunk Cabbage on this ride can be “head high”. Route: Gothic Rd (FS 317) to Snodgrass (590.1) to Washington Gulch (FS 811) to 403 and return via Gothic rd. Description: This is one of the highest quality “combo rides” in the valley. All three of these rides have been described above, so there really isn’t much else to say. A slightly shorter version which only involves lower 401 is roughly an hour and a half shorter and 10 miles less. Riders with no soul can shuttle a vehicle to the top of Washington gulch and ride 403 and 401 from there in about 2.5hrs and 23 miles. (both halves) and return via Gothic rd. Description:As much as I hate Deer Creek, it is a good connector for rides in the Brush Creek area to 401. I rode this section with my friend Jay when he was doing a fundraiser for “Partners”, basically a big brother/big sister mentoring program. He asked for donations per mile ridden, and he made a ride of over 100 miles, starting with Reno/Flag/Bear. He chose not to ride lower 401, not my fault. Route: Upper to Brush Creek (FS738) to FS582.1 to Deer Creek (568) to Gothic road (FS317) to Upper 401 to Gothic Road. Description: This is it, the king of rides. My favorite? Not sure, but it enters the conversation each and every time. It almost certainly was before the Forest Service ruined parts of the ride, even resorting to dynamite on the lower sections. Lazy people will take just as much time shuttling Spring Creek as it takes to simply ride it, however dusty and wash-boardy it might be. Beers on Harmel’s riverside deck are an added bonus at the end of the ride. Description: With a shuttle, this ride is almost entirely singletrack on a long portion of the Gunnison Spur of the Colorado Trail. The Matchless section is popular with the dirtbike crowd, so expect parts of the trail to be beat up. There are some good descents on Matchless, but there are also some lung-busters and hike-a-bike sections as well. The shuttle is fairly long, but it doesn’t gain that much elevation-wise. Description: One of my least favorite rides anywhere, cross country afficionados might actually like this ride, since it completely lacks a worthwhile downhill. If your dream bike is a hardtail 29er, you might just like this ride. If your dream bike is a 6″ trailbike, you might find this trail as boring as I do. The views are nice at least. I re-rode this trail in the summer of 2017, hoping the passage of many years would make this trail better. Nope. Equally sucky the opposite direction. Route: Upper to Brush Creek (FS 738) to West Brush Creek (FS 738.2A) to Deer Creek (568) to Gothic Road. Description: Fossil Ridge is an interesting sub-range which juts West of the main part of the Sawatch. Most of this area is now wilderness, but this trail skirts the edge of the wilderness. It is an interesting place to ride to change things up a little bit, and Boulder Lake is really cool, but the actual riding leaves something to be desired. It’s very up and down, and the main downhill happens on a road. Some people prefer it in the opposite direction, but that would be tough as well. The Fossil ridge trail continues, so maybe Gunnison riders have a better way of doing this ride. Description:The Needle Creek area is about 15 miles East of Gunnison, south of Highway 50 near the “town” of Doyleville. A large number of trails, marked and unmarked, make their way South from Needle Creek Reservoir into the Cochetopa Hills. The Continental Divide makes its way through the Cochetopa Hills, generally below treeline and at the lowest elevation of anywhere in Colorado. Most of the trails in this area have been made by dirtbikes, and there are very few trail markings so be prepared to get thoroughly lost and disoriented in this unique area. Some of the trails here are excellent, and it would be worthwhile spending as much as a week here exploring lesser-known trails. I would recommend contacting Rock’n’Roll Sports in Gunnison for some better/ more up to date beta. Description: This is another ride starting from Needle Creek reservoir, see above. It’s probably the most popular ride down there, and it features a really long, steep, and loose downhill. A shorter but steeper version is to access it via the Left Hand trail. Description: Teocalli is a grunt of a climb, but for those of us seeking ripping downhills that have sections of technical riding, it’s one that can’t be beat. The views of Castle are pretty special on Teocalli, and traversing across the face of a 13,000′ peak is unique as well. Teocalli re-opened in 2014 after a major re-route that eliminated the steep middle portion of the trail. Motorized users have been asked to ride this trail downhill only. I generally add the canal trail at the end for a bit more singletrack. One time, when I was weak, young, and short on time, I drove to where W. Brush separates from Middle Brush, which made for an 11 mile, one hour, 45 minute ride. On another occasion, I started from a friend’s house in town, which reduced the mileage by one mile, and was a few minutes faster. Description: Anyone who has ridden Teo ridge has probably noticed a trail veering left about halfway down the ridge. This trail is not marked on the lat 40 map, but it is on the maps they sell at the Alpineer. This trail deposits the rider in the Middle Brush Creek drainage. It’s fun, but not as fun as the regular Teo ride, so this is one that’s best suited for bored locals who think they’ve ridden everything. It probably doesn’t take too much longer than the standard Teo ride, but the only time I did this ride I also did Whetstone Vista and the Canal trail, so it’s kind of hard to compare. Description: Most of the time, when the forest Service does trail work, the trail becomes worse, not better. In this case, the work that the FS did a few years ago actually made a good ride into a great one. Huge drainage berms have made this trail into an air-fest that is the closest any local trail will get to Whistler’s legendary A-line. The views of Crested Butte and the upper East River Valley are as good as anywhere. This is a classic ride that doesn’t get near enough credit.  Description: As stated above, 409.5 is one of our favorites. While we like the route described above, this is another option- and a good one at that now that 409 is improved. Point Lookout is a great trail- well built, amazingly scenic with lots of wildflowers in season, and very rideable. Point Lookout can also be reached from Crested Butte South, or ridden as a downhill. Its southern exposure means it’s one of the first trails to melt out in spring. This route keeps you in the Brush Creek Valley and avoids HWY 135, although the time remains about the same. Starting at the Brush Creek trailhead and adding Strand at the end results in a 17 mile, 2.5 hour ride time singletrack day. Description: At the end of 409.5, you’re already well up the Farris/Strand road. The quickest way to add some more singletrack is to hit Strand Bonus after a 5-10 minute climb from the bottom of 409.5, but Farris is another good option. Description: Wanna max out your gnar status? Combining 409.5 and 402 says that you’re strong enough to put in some serious miles and vert, but that you like ripping downhills, not rolling cross country. This is what lightweight 5-6″ bikes are made to do. Mileage: 39.5miles Links: 409.5 to 402 w/moose! Description: Jay and I did this loop one time on a whim as we rode out Cement Creek. I’m still not a big fan of Waterfall Creek, but at least we tried something different. Along the road, we even gained another rider, who we thought we were going to crush since this is a big ride, but he pretty much crushed it.. Description: Almost every section of the Colorado trail is top quality singletrack. This section falls into the minority category because it’s not very good at all. Lots of steep hike-a-bike with no real epic downhills are what await riders on this section of trail. Parts of this trail are very technical as well, usually I like that kind of thing but there is a difference between good technical and bad technical. Check it out anyway if you want to. Approx. Time: 3hours 20min. Trailhead: Shuttle: Mt. Princeton Hot Springs to HWY 50. Description: Whitepine rules. One of the longest downhills anywhere, this descent has it all: steep and technical terrain above treeline, fast and flowy terrain in the trees, and then miles and miles of pedal-y style singletrack to finish it off. Sick views and the quaint town of Whitepine add to the overall ride quality, but there is a price to pay. Much of the Tomichi Pass road consists of “baby-heads”, and although a really solid rider can ride the entire road, most will walk at least some sections. There is another half hour of hike-a-bike when you do finally leave the road near the pass. On the other hand, not many rides summit twelve thousand foot peaks (UN 12,620′), or go downhill for hours on end. Description: Mount Emmons is the huge mountain that towers over Crested Butte. With a road that goes up the backside (Gunsight Pass), some friends of mine decided to see if they could ride back down the mountain via the ridge that separates Wolverine and Red Lady basins. It turns out that much of this route is rideable, but bring your body armor, the upper ridge is technical. Bring some oxygen, too, the summit is at 12,392′. lower loop to the Brick Oven to the Bus(**) back up to Mt. CB. Description: One of the finest adventure rides around, this ride seems to be gaining some popularity. Scarp’s is so fun. The trail on Scarp’s is faint and a fall to the right would send a rider over deadly cliffs, but it’s technically pretty easy. Hopefully Irwin lodge will open again some day soon and a stop for french fries and a coke mid-ride will once again be possible. Description: The descent off of Star Pass has long been one of my favorites, if for no other reason than it’s also one of the longest. It goes on and on and on… The way I describe the ride makes a loop from Cement Creek, though there are many ways of riding Star Pass, including as an out-and-back. Trail 583 from Cement Creek used to be 100% rideable, but the dirtbikes have really trenched it out and some sections can no longer fit pedals. Thankfully, 583 closed to dirtbike use in the summer of 2011, so the trail should get better soon. Description: I originally conceived of this route as a way to reduce the number of road miles while accessing Star Pass (often accessed by 583). Of course adding brutal singletrack uphills to an already difficult ride was, well, brutal. Amazing scenery, though. Route: Upper to Brush Creek (738) to Farris Creek rd (736) to 402 to Brush Creek (738) to East Brush Creek (738.2B) to Block and Tackle (545) to Doubletop (N)(405) to Star Pass out and back (400) to East Brush Creek (738.2B) to Brush Creek (738) to Canal Trail to Brush Creek (738) to Upper. Description: This is a shorter way of doing the ride described above, and adds a really fun descent off Block & Tackle. At the end of the long downhill off of Star Pass, you simply go a mile and a half straight up Block & Tackle. Block & Tackle is trashed by the motos like most every other ride in the area, but once past the hike-a-bike it gets pretty sweet, and the wild blueberries and raspberries will keep you occupied. The other side of Block & Tackle to Cement Creek is fun, though short. 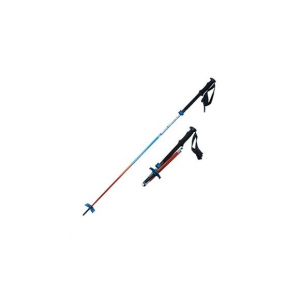 Description: This may be the best “shorter” alpine route in this guide. I’m embarrassed at how long it took me to do this route. The Cement Creek trail was redone by CBMBA and the FS in 2011 and is now a great ride in its own right. And the Hunter Creek descent… Wow! Ride this one. Description: This is a slight variation of the ride above. The Tilton trail, via the upper reaches of Cement Creek, is an interesting ride that gets you to a high summit. That alone makes it worth doing. I would consider it a toss-up between doing 583 and Tilton, so ride them both and decide for yourself. Description: Without the thrashing that the dirtbikes give the trails in this area, this would rank as a top-notch collection of sweet downhills. Instead, it can feel like a deathmarch when sections that should be rideable are all rutted out. It makes up for it with sweet descents of both Star Pass and 409.5. Pack a lot of food and get ready to do some walking if your bike suffers a major mechanical. This ride took us 7 hours in a huge rainstorm that made everything so slick we fell over and over again, even though we shuttled cars. Description:A friend of mine had an old guidebook for Crested Butte which described this ride as a local classic, with buff singletrack traversing high alpine meadows. These days, Doubletop is trenched out by the motos, sometimes making 6 or 7 parallel trails as they trench one and then another. How any moto would feel OK about trenching it out like that when it’s wet is something that I’ll never understand. It’s tough to ride it and not get pretty bummed at people. This trail is also known locally as “double up, no down”, since there isn’t much of a big downhill. Combining Doubletop with 409.5 gets you at least one screaming descent. Description: I don’t know why I came up with this name, but suffice to say this ride hurt us. On paper, it looks sick- a huge downhill in a sweet area to another ride we already knew. The reality is a tough trail that seemed to be all uphill no matter what the topo said. Mysterious lake is really really cool, however. I haven’t returned, though perhaps enough time has passed for me to cripple myself again someday soon. Description: It took a long time to finally find out just what lies beyond the Silver Creek turnoff on the popular Monarch Crest route. As it turns out, there is some great riding on this section of the CT, with nearly every type of riding present and a bit of a wilderness feel. Once I turned off the CT onto the Long Branch trail, I was confronted with a steep and rocky trail that I found to be quite fun in a technical adventure ride kind of way. Worth a look for sure. Description: As soon as I rode Starvation Creek, I knew there would be some great combos to be had utilizing that trail. Sure enough, within a month I combined Starvation and Agate, and it is a long route that I definitely recommend. 2 of the best downhills in the Monarch Pass area, on the same day? Thanks, I think I will. Route: Marshall Pass to Starvation Creek back to Marshall Pass via the road Starvation dumps out onto, followed by the Continental Divide Trail to Agate Creek. Description: My friend Alison was training for the TransRockies bike race, a 375 mile race in Canada and came up with this ride as a training ride. It turned out great, as both of the long climbs are on pretty mellow dirt roads leading to two great downhills. This is one long ride that I will definitely do again someday. Next time I’d like to add the Rainbow trail, although that would really add some time and distance, maybe over 100miles. (opposite direction) to Agate Creek. 412 to 405 to 409.5 to Farris Creek to Canal Trail to upper. Description: This is a crazy ride with a ton of vert, a ton of miles, and a ton of hike-a-bike. It’s an all-day affair, so start early, and eat your Wheaties. I always thought it would make a great start to a super brutal 100 mile race, in the tradition of a race like Montezuma’s Revenge, and not at all like the CB Classic. to 409.5 to Farris Creek to Canal Trail to Tony’s to Rec. path. Description: There is a lot of history on this ride, with the annual Pearl Pass bike tour going to Aspen every fall. A group of motorcycles rode over from Aspen and started bragging at the local bar. Not to be outdone, Crested Buttians rode their “clunkers”, as they called them, over to Aspen. Riding Pearl Pass has two things going for it: history and scenery. The riding isn’t a ton of fun, with a lot of talus hike-a-bike to get to the top. It’s still something every biker should try to do, if for no other reason then to pay respects for the history of the sport. Route: Brush Creek to Pearl Pass (FS738) and return. Description: This twisted idea of a good time could be considered a local’s testpiece. The idea is simple- ride to Aspen, eat lunch, and return to Crested Butte. The reality is a long brutal ride with some hike-a-bike. Pearl Pass can be used in both directions, but returning via Star and Taylor passes will at least offer up some singletrack. I hallucinated flourescent green, yellow, and pink tumbleweed creatures on the return. Worth doing once, I have no plans to do it ever again. Description: The Crested Butte Classic is an informal 100 mile bike race held every fall. Three laps, each beginning and ending at the Brick Oven in downtown Crested Butte, add up to an epic race with plenty of singletrack, unlike other 100 mile races like Leadville. The 2012 version is scheduled for September 29th. I have yet to do this ride, mostly because I despise Deer Creek, but Brittany finished in 2010. Route: The race route has varied over the years, but the 2011 route was as follows: Lap 1: Kebler Pass to the Dyke trail to the Wagon trail to town. Lap 2: Lower loop to Slate river to Washington gulch to 403 to Schofield pass to 401 (upper only) to Gothic road and back to town. Lap 3: Deli trail to Brush creek to Strand Hill to Canal trail to Deer creek to Gothic road and back to town. Make sure to fully check out our hiking & biking FAQ’s page and if you still have questions please feel free to contact us!